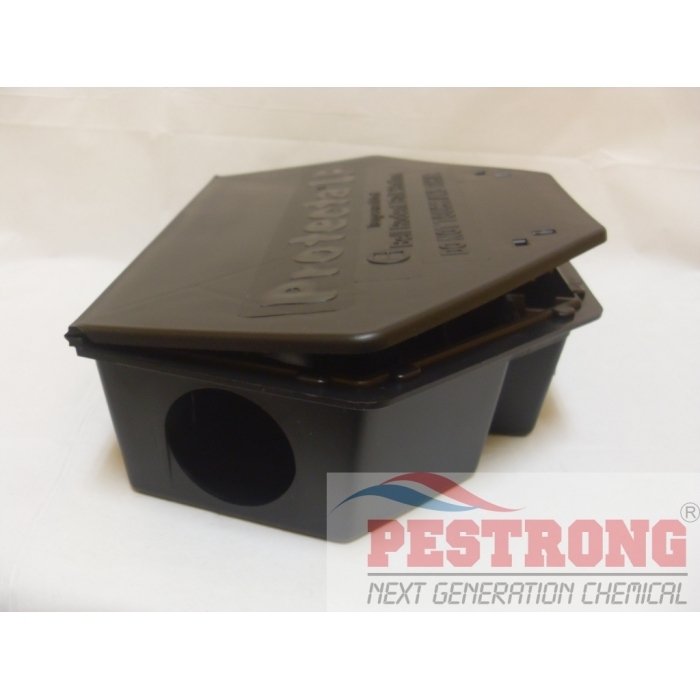 Where to Buy Protecta LP Rat Bait Station, Protecta LP Bait Station - Black, Grey - $18.05 for Sale with Fast Free Shipping! 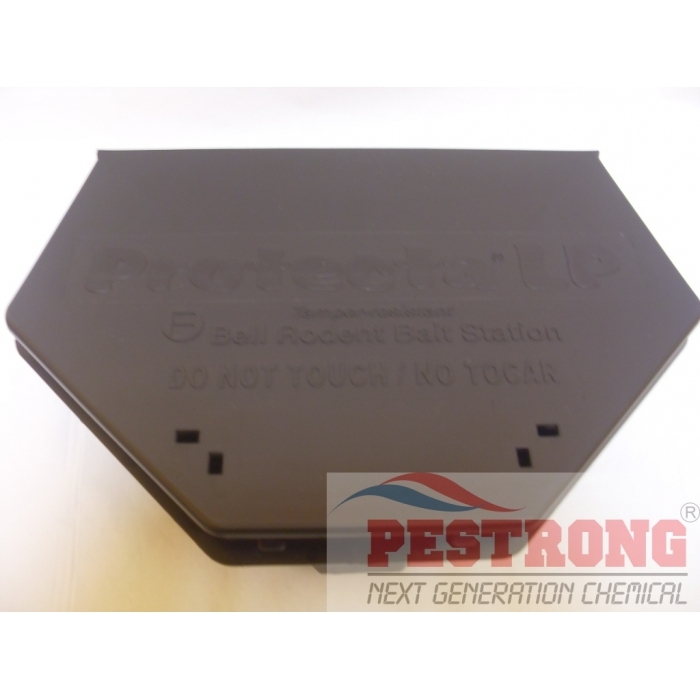 Protecta LP Bait Station - Black, Grey is a triangular shaped, rat-size bait station that fits in corners and flush along walls where rodents travel. 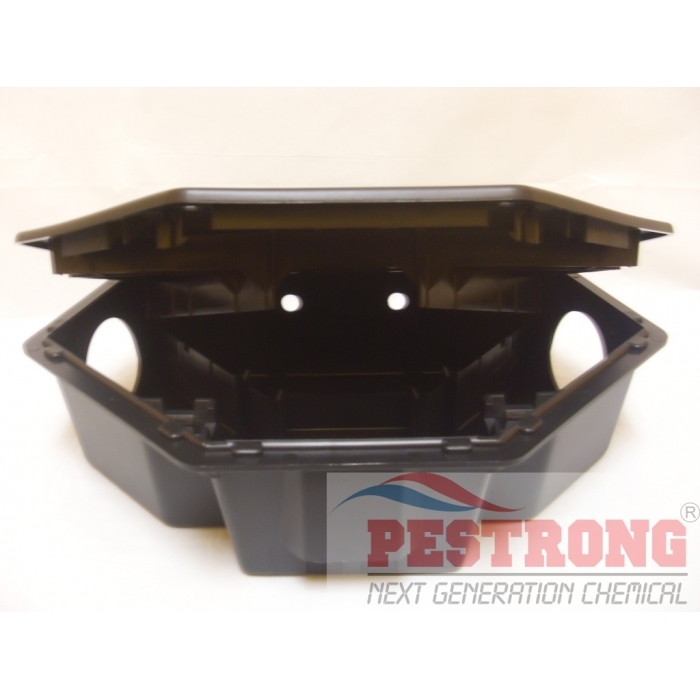 Its "Low Profile" makes it ideal to use indoors under pallets and in other tight baiting locations. PT 565 Plus XLO Aerosol Contact Insecticide..
PROTECTA LP is a triangular shaped, rat-size bait station that fits in corners and flush along walls where rodents travel. 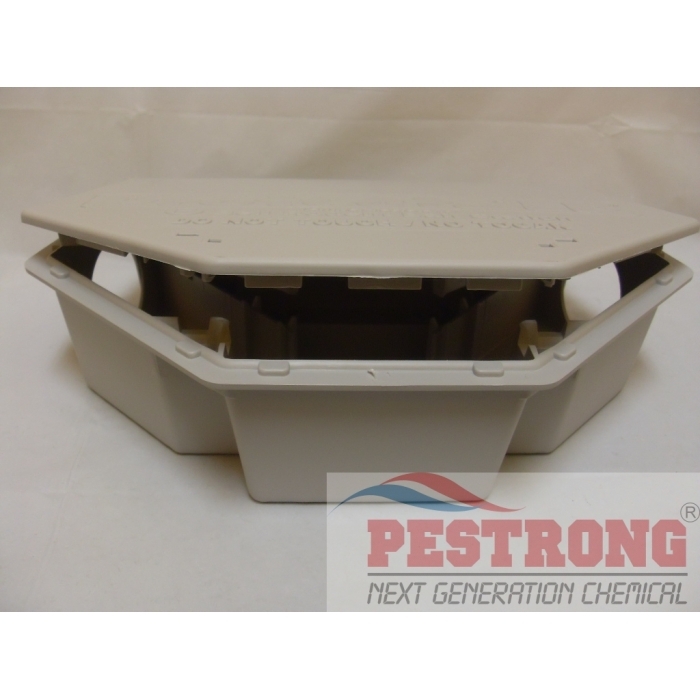 Its "Low Profile" makes it ideal to use indoors under pallets and in other tight baiting locations. It measures 3 3/8" tall by 9" deep (approx. 76mm x 228mm). 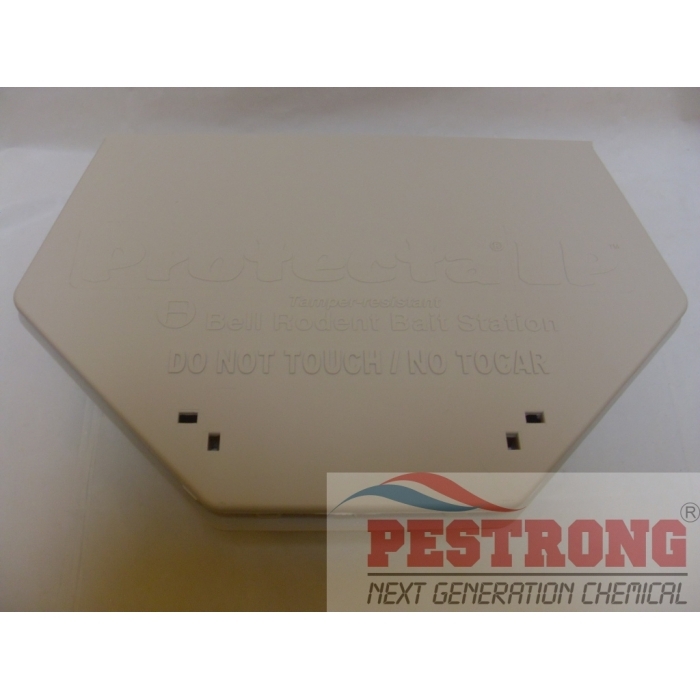 Patented interior baffles lead rodents directly to the feeding receptacle in PROTECTA LP which can hold Bell's BLOX and Super-Size BLOX baits, tracking powders, liquid baits, cereal baits and place pacs. BLOX fit on horizontal and vertical bait securing rods that help keep bait securely in the station. This tamper-resistant bait station locks automatically when closed and unlocks with a special 2-prong key that also opens other Bell bait stations. A one-piece liner makes cleaning and rebaiting easy. Service time is reduced because of its easy accessibility. 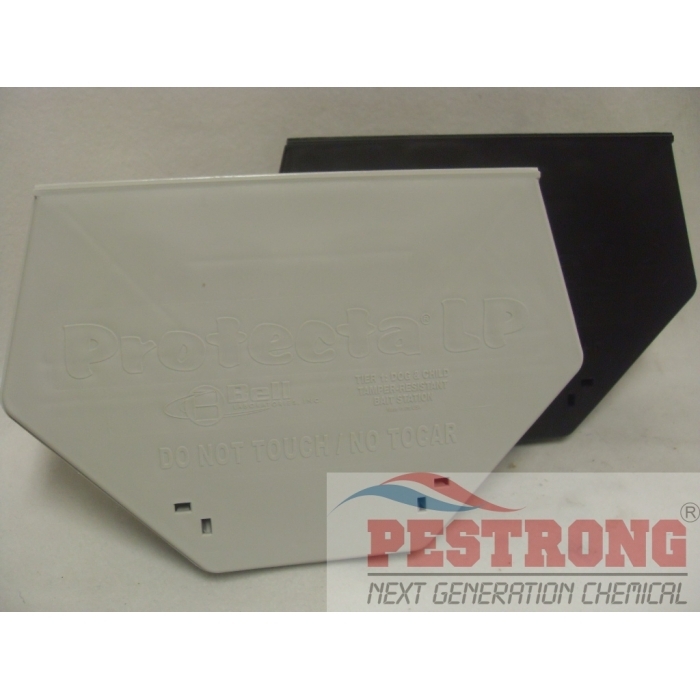 PROTECTA LP is available in black and light gray to fit discreetly in any baiting environment. 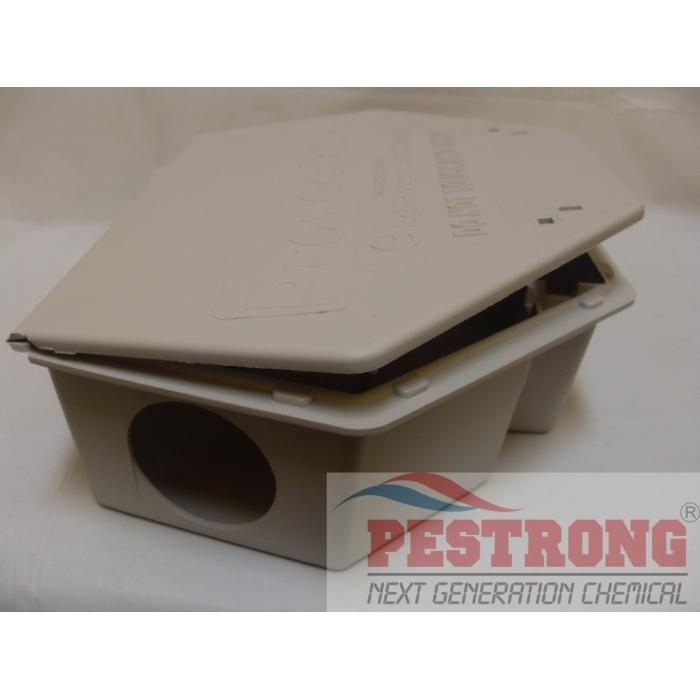 This low profile rodent bait station is good because the price is cheap and size is right for everywhere. I think this is best station.